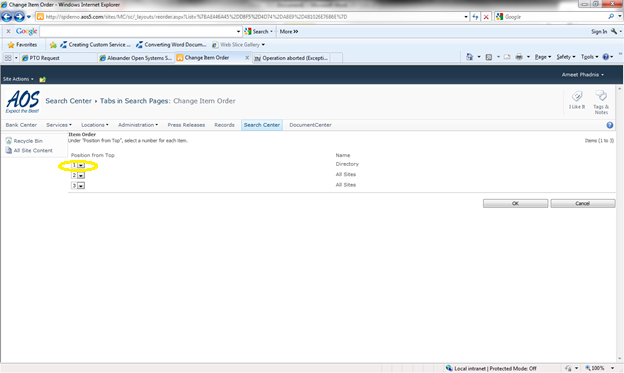 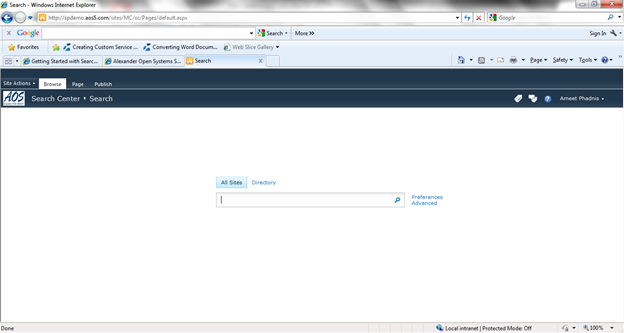 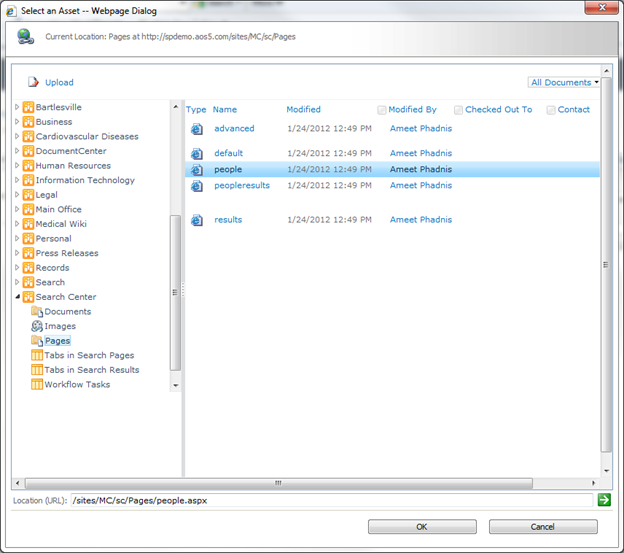 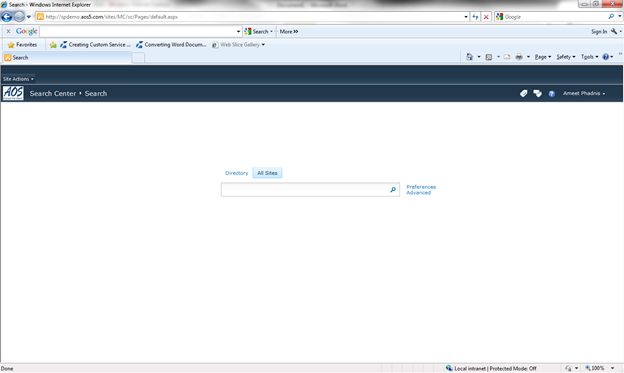 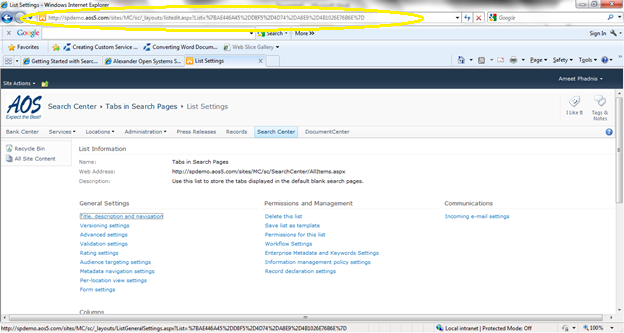 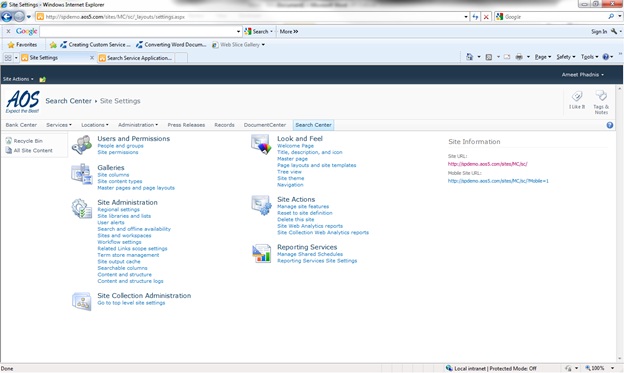 Following steps explains how you can change the tabs order on the Search Center in SharePoint 2010. 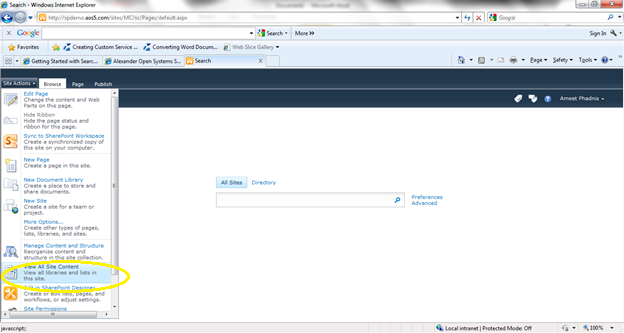 Here is how my Search Center displays. 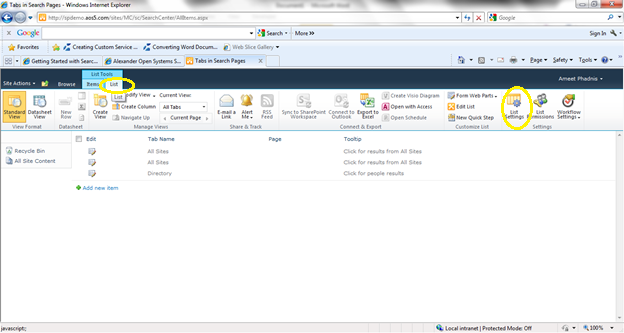 It has All Sites and Directory. I moved directory to order 1. 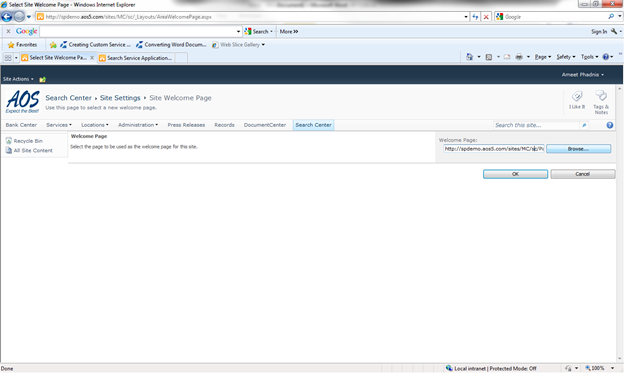 Click on People page and click ok.
Click Ok on the Welcome Page. 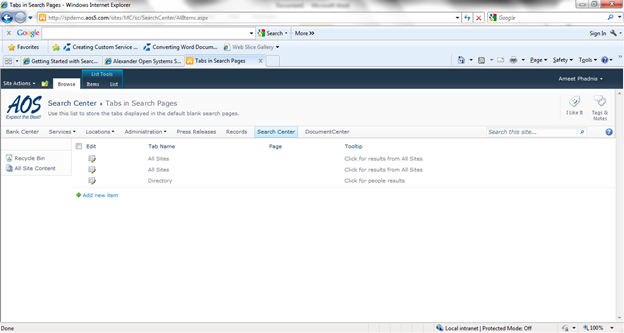 Now the Search Center will display the Directory Tab by default.